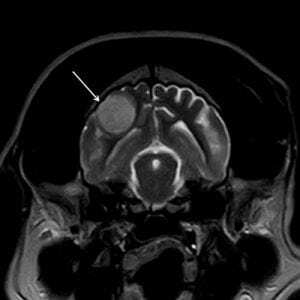 An MRI scan, carried out before he reached us, showed a hyperintense lesion in the right temporal cortex. 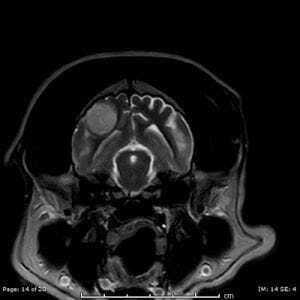 Although a tumour seemed most likely, cocker spaniels can develop immune mediated encephalitis, which can appear very similar to a growth on an MRI scan. However a sample of CSF was normal, making this unlikely. To get a clearer picture he was initially treated with medication to control the seizures before undergoing another scan. This was more convincing, also showing that the tumour had grown significantly and would need to be removed surgically. 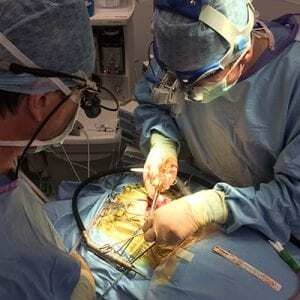 Pete Smith, Neurologist at Davies, carried out a right-sided craniectomy. The surgery required specialised anaesthesia because routine anaesthetic management would risk critical changes in arterial blood pressure, intra-cranial pressure and cerebral blood flow. These could combine to reduce cerebral perfusion pressure, potentially causing severe brain swelling and permanent damage. 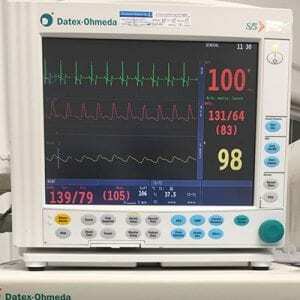 Louise Clarke, Specialist in Anaesthesia at Davies, used a balanced anaesthetic technique with sevoflurane, alfentanil and neuromuscular blockade, with access to Jasper’s circulation provided by a central line placed in the saphenous vein. Positive pressure ventilation was employed, though was managed carefully to prevent high airway pressures, which could impede cerebral perfusion. Arterial blood pressure was measured directly and blood gases sampled to assess ventilatory function and oxygenation. Additional techniques were used to mitigate brain swelling, maintain cerebral perfusion pressure, provide post-operative analgesia, and to manage seizures and dysphoria in recovery as effectively as possible. 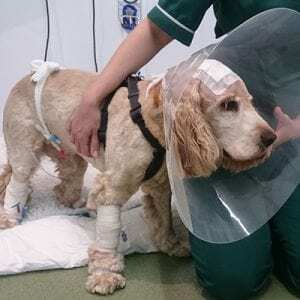 The operation was a success, with none of the brain swelling and haemorrhage that can complicate this type of surgery. 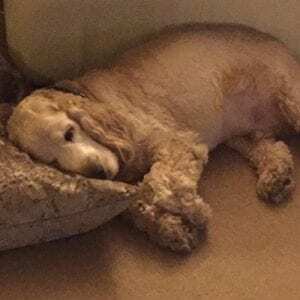 Jasper had a very smooth recovery following the procedure and although he suffered two seizures later the same evening, modification of his anti-seizure medication promptly controlled these. Jasper was up and about by the following morning. He continued to improve over the next 24 hours and was discharged home two days later. He still needs medication to control his seizures but once his condition has stabilised, the plan is to try to reduce this. Despite the overall success of the operation, there are likely to be microscopic remnants of tumour left behind. Radiotherapy and drug therapy are both options to tackle this but for the time being, his quality of life is much improved. 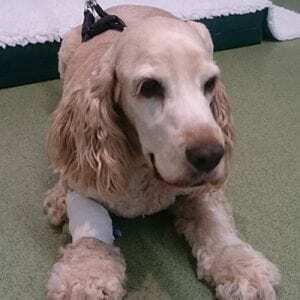 Jasper is now having a four-week course of radiotherapy at the Animal Health Trust.